The eye-popping views of charming valleys in Kullu and Manali has a lot to say to those who visit the place to explore their natural beauty fantasy. With the scenic slopes, gorgeous hills, blossoming gardens, and cascading waterfalls, this destination is perfect for the visitors to rejoice. 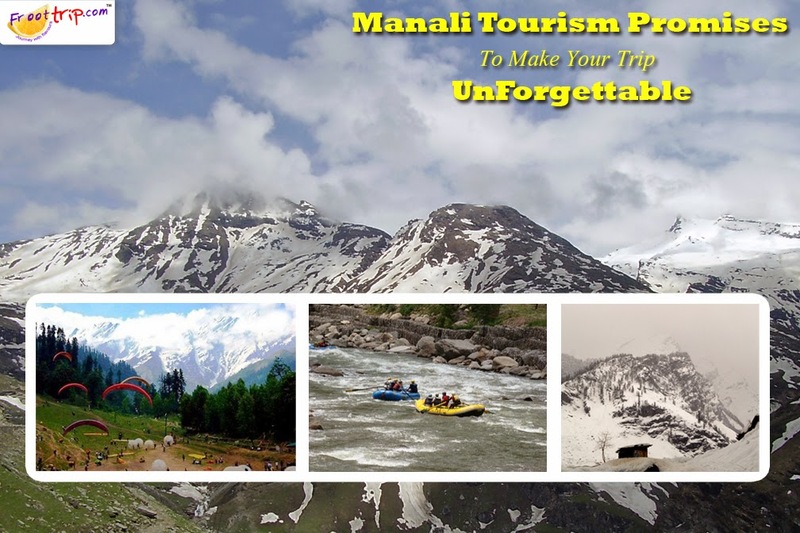 Whether you visit it for your professional purpose or you have a plan to hang out with your friends, Manali tourism is engrossed with all the required spices that will leave you wanting for more. Once you come here, you are sure to have an unmatched travel experience of your life. This is why every year a huge flock of tourists from across the county and the whole world mark their presence in the beautiful land of Manali . In this blog, we have tried to discuss some of the major reasons why you should keep it as a first choice in the list of your preferred holiday destinations in Asia. Just approximately 13 kms away from Manali, Solang valley is one-of-a-kind place for adventure lovers. It renders a dazzling view of snow-capped mountains peaks and glaciers. There is a more to avail here for all skiing enthusiasts. This destination is a mouth watering treat for all those who have a craving for bathing in waterfalls. Of course, many leisure loving tourists who come here from across the globe feel pleasure to get involved in this one of the most appealing activities. The Manu Temple and the Hadimba Temple are included in the list of some other major attractions of this destination. It is quite impossible to ignore the significance of Old Manali, especially when you are on a task of exploring the old guesthouses of this destination. You as a beauty lover would definitely enjoy while getting a chance to experience the beauty of orchards and flower gardens in old Manali. You can find a number of places in Manali when it comes to getting indulged in rock climbing. However, it is always advisable to connect with a trustworthy company to make sure that you will have a secure and safe rock climbing experience. Many tourists with keen adventurous desires want to enjoy this popular outdoor activity. In order to enhance your pleasure, you can move towards the Solang Valley where you will surely find a strong reason to visit this place again and again. Trekking is going to help you when you are eager to explore the beauty of Kullu and Manali. Deo Tibba Base Camp, valleys of Kullu, Friendship peak and Hampta Pass are some of the most popular places for this purpose. Apart from becoming a part of these outdoor activities, you would also find skiing, canyoning, zorbing, water rafting, and snowboarding very interested and fascinating. Manali tour is incorporated with everything that is significantly important to create an eagerness of thrill, adventure and romance. Once you take this trip, you’d remember it for your lifetime. So, don’t wait anymore! Connect with a genuine online tour operator and allow yourself to make your journey more exciting!